Arizona Green Chamber of Commerce - February 14 Lunch and Learn: Water - what you need to know now to prepare your business for the future. February 14 Lunch and Learn: Water - what you need to know now to prepare your business for the future. Water policy in the face of Arizona's 18 year drought is the most pressing issue facing the Arizona legislature this session and the biggest challenge we, as Arizonan’s face. Arizona’s economy and our lifestyle here in Arizona depend on a stable water supply. Arizona gets 40 percent of its water from the Colorado River and a declining Lake Mead puts Arizona's most precious natural resource at peril. 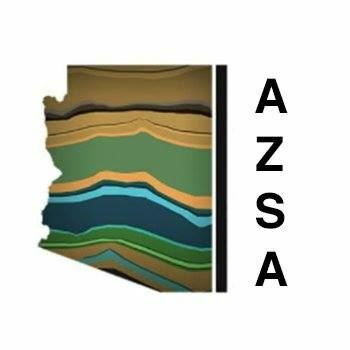 Chris Kuzdas, agricultural water project manager for the Environmental Defense Fund, Jim Buster, Arizona Green Chamber's Public Policy Chair, and Nicole Gonzalez Patterson, policy director of Business for Water Stewardship will discuss what we can do to meet the challenges that lie ahead. Chris Kuzdas is an environmental social scientist with a diverse background in the decision sciences, international development and project management. As a member of EDF’s Colorado River team, Chris works with partners to explore flexible water management solutions that address future water uncertainty in a just and sustainable manner. Chris is involved with local collaborators in developing agricultural risk management strategies to manage water uncertainty in ways that support rural communities and healthy riparian ecosystems. His work blends science, policy engagement and stakeholder collaboration. Chris also serves as an associate editor of UNESCO’s Global Water Forum, an international hub for resources and discussion related to freshwater governance. Jim Buster has extensive contacts in the environmental, government and business communities. He has served as a city councilman, mayor, county supervisor and state senator. As a state senator he chaired the Natural Resources, Agriculture and Environment committee. In that capacity he dealt with water and environmental legislation. He sponsored and successfully navigated several major pieces of natural resource/water legislation through the process. After Jim left the legislature he served as the director of legislative affairs for the Arizona Department of Environmental Quality for almost 14 years. Currently Jim manages Southwest Resource Strategies. In this capacity he represents organizations and businesses of an environmental nature. During his time as a city councilman Jim served as the vice-chair of the Arizona Municipal Water Users Association. He currently serves as the president of the Arizona State Parks Foundation and chairs the policy committee for the Arizona Green Chamber of Commerce. Nicole González Patterson is an experienced attorney, with strong public policy, advocacy and government relations experience, and deep ties to the business community in Arizona. As an advocate, Nicole brings over 10 years of developing, building and managing coalitions, and experience leading stakeholder groups, with an emphasis on water and environmental policy advocacy. As our Arizona and Nevada Policy Director Nicole provides strategic policy guidance and works closely with businesses and Chambers of Commerce in Arizona to develop an effective engagement strategy at the State and Regional level. Nicole graduated from the University of California, Los Angeles (UCLA) and received her Juris Doctor degree from the James E. Rogers College of Law at the University of Arizona. GreenLiving Magazine, Arizona Sustainability Alliance and Local First Arizona.